Today was one of the best Sundays I’ve had in a long time. 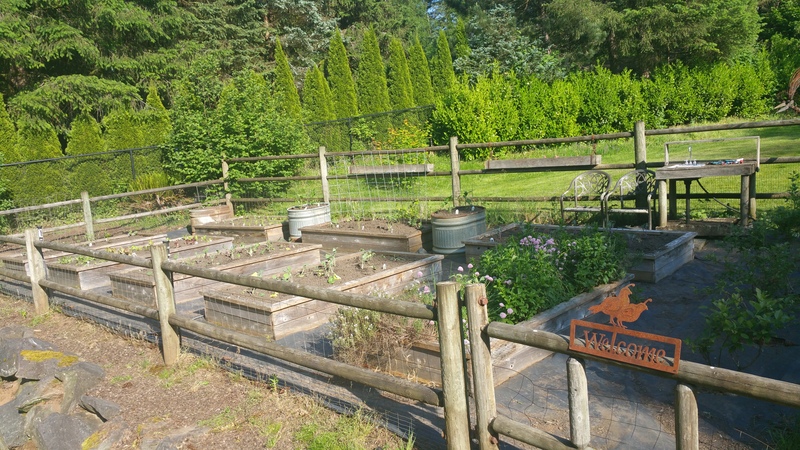 My wife and I picked up some top soil today for the new vegetable garden we planted. It’s been a long time since I’ve “played in the dirt” and it felt good. It was freeing to be away from my phone and laptop all day. We went to a cabin on Mt. Hood for a few days with our family, Loretta, Gunner, Chloe, Ben, Daniel, Sarah and Jake. It was so fun and I plan to post pictures of the cabin soon. But what I’m most excited about is how awesome Emma did on her first snowboard trip! Front of Hotel Del when we arrived. Logan and Danielle watched the kids tonight so we could go on a date! 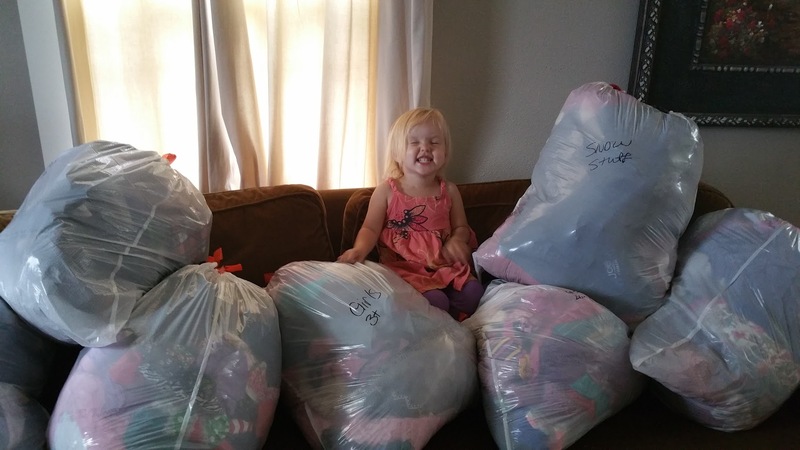 We left the RV Park around 4:30 and then went to Nordstrom Rack so Lacie could do some shopping. I found a cool laptop backpack while I was there. 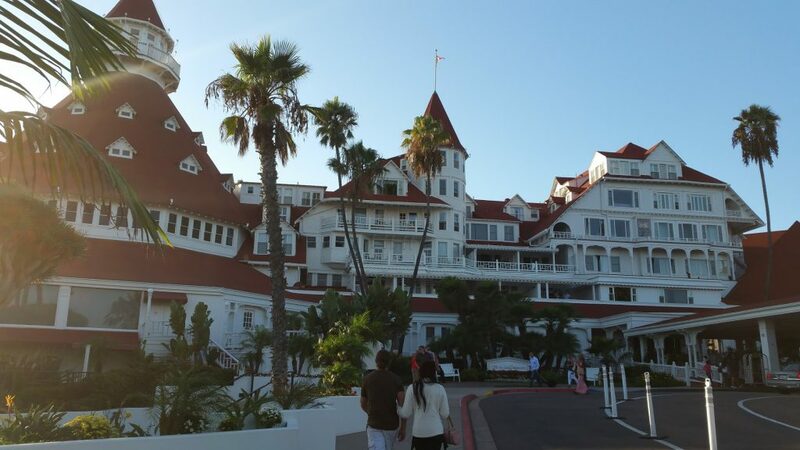 Then we drove to the surprise dinner place… Hotel Del Coronado! Someone told me this was “the place” to go for a nice dinner. And they were right. It was pretty awesome. The food was amazing and the view was beautiful. And Lacie looked gorgeous! On Saturday, Aug. 27 we packed up our RV, left Yacolt, WA and decided to see how far south we could make it on Day #1 of our big trip. 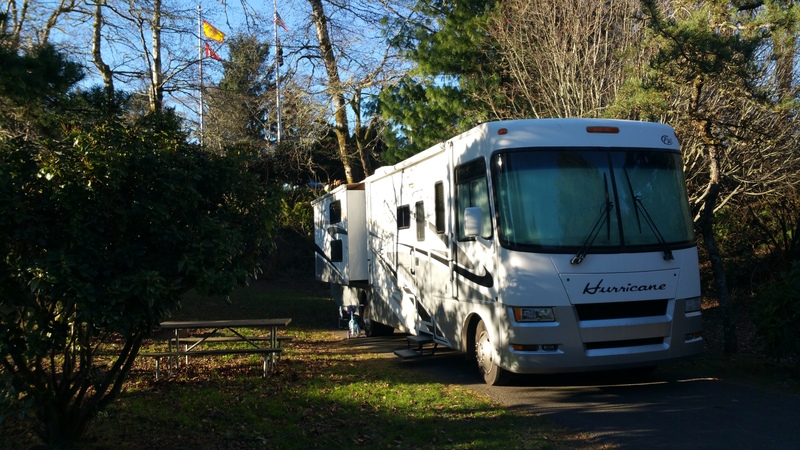 We ended up driving 155 miles (about 3 hours) and stopped at Deerwood RV Park in Eugene, OR. When I told Emma, my co-pilot in the RV, we were in Eugene she asked, “We’re going to Flynn Ryder’s place! ?” (Flynn Ryder aka Eugene Fitzherbert from Tangled). Pic of our campsite from the hill I climbed. We’re on Day #20 of living in motorhome (if you missed our last post about how we purged our stuff and moved into the RV you can read it here). First, let me share with you where we are… after 20 days we’ve made it all the way to Yacolt, WA (for all you non-locals, Yacolt is only 45 minutes from where we were living (see photo and map below). Lily helping pack up all the clothes to donate! It’s Saturday, July 30, 2016, and we’re finally in our motorhome! 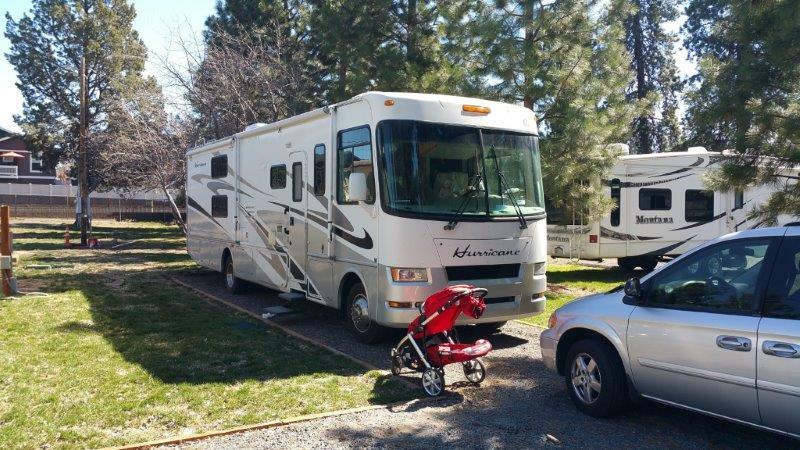 We’ve spent the last month purging our stuff so we could move out of the home we were renting in Ridgefield and into our motorhome. And man, talk about a PROJECT! Preparing to Travel the Country in Our Motorhome! 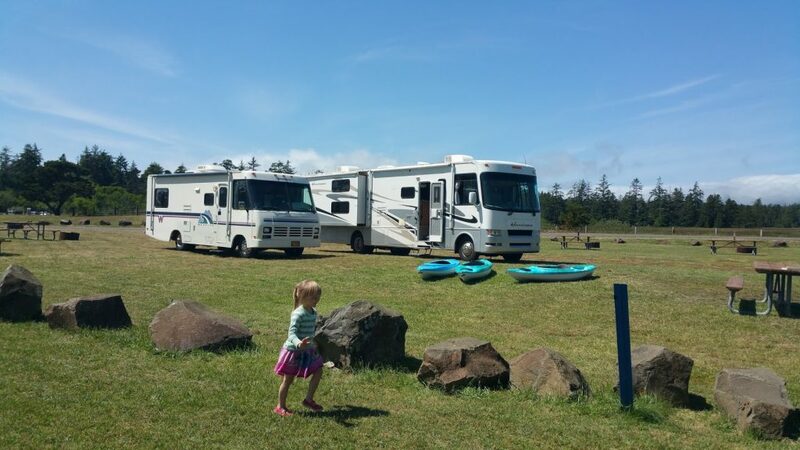 A picture from our last RV trip last month at Cape Kiwanda. After a lot of talking, planning and praying we finally decided to hit the road in our motorhome! We’re coming to the end of our 1-year rental agreement here at David’s house in Ridgefield and we’re not ready to buy our first home yet. So we figured this would be a great opportunity to go on a cross-country RV adventure! Campsite on Thursday night in the gravel lot. 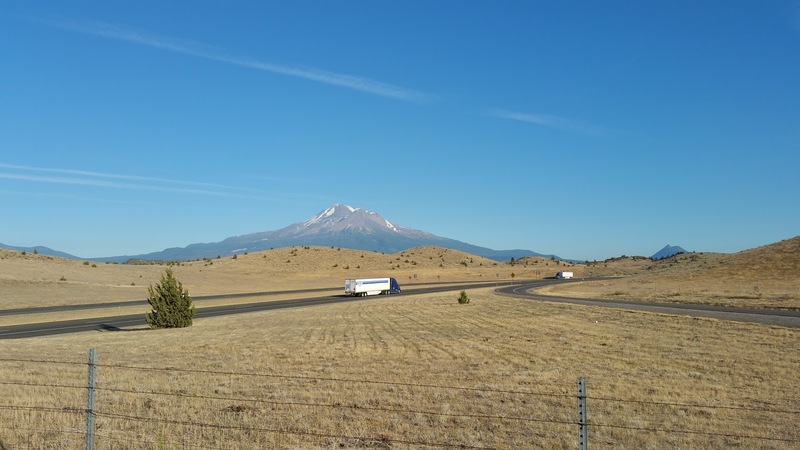 We just got back from a fun 3-night motorhome trip in Central Oregon! On Thursday we packed up the motorhome and drove to Crown Villa RV Resort in the south side of Bend (about 5 mins from where we used to live). Our camping spot for the first 2 nights. It was right next to the store and the game room. We decided to go to Astoria, OR to celebrate the New Year. We originally were only going to stay for 2 nights (Friday and Saturday). But we found out the roads were icy on Sunday so we decided to stay a 3rd night. The campground was a blast. It was perfect for the kids… it had mini-golf, a big bouncy blob thing they could jump on, a game center and the best part: pancake breakfast! Our first time taking the RV out! 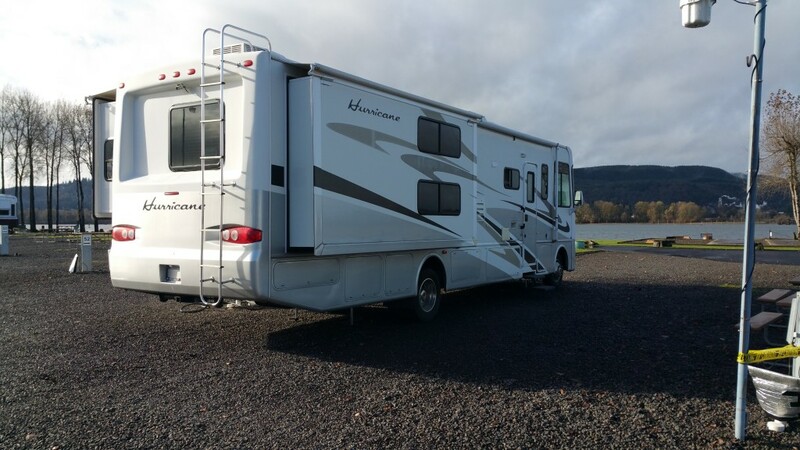 On 11/12/15 we bought our first motorhome, a 2007 Four Winds Hurricane! Traveling the country in an RV has been a dream of ours for some time. So we’re pretty excited to finally have one! Right now we’re on our first trip. 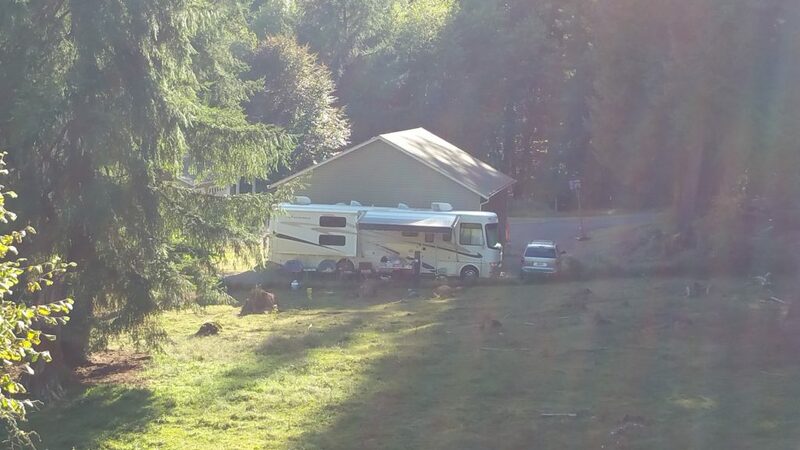 The pictures below are from the campsite we were at yesterday, Columbia Riverfront RV Park in Woodland, WA.